MARINE biologist Darrell Blatchley said 61 dead marine animals have been recovered along the coastline of Davao region over the past 10 years. Of this number, Blatchley said 57 died due to ingestion of plastic fishing nets, dynamite fishing, or ingestion of plastic waste. He said the figure does not yet include pawikan (tortoise) and butanding (whale shark) that also died ashore due to ingestion of plastic waste. "With the current situation, it's becoming normal na namatay sila sa basura," Blatchley said in an interview at the Sangguniang Panlungsod. He was invited to appear before the council during the regular session Tuesday, March 26. Blatchley, director of the D'Bone Collector Museum, said it is alarming that majority of these dead animals were found in the Davao Gulf. Blatchley said that Davao Gulf is known to have 18 species of whales and dolphins. 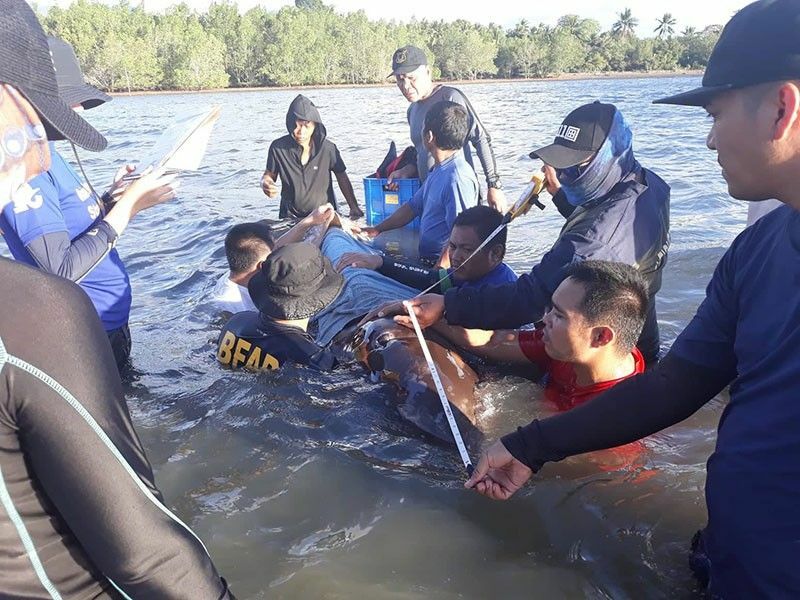 Recently, a juvenile male Curvier Beaked Whale died on the coastline of Barangay Cadunan in Mabini, Compostela Valley. Blatchley found that the whale had ingested around 40 kilos of plastic waste. Blatchley said the existing laws in the city lack teeth as these are not enforced, especially those mandating waste segregation and management. "Naa tay existing laws, pero walay pangil. Ma-enforce lang nila ang balaod sa isa ka bulan, human ana, mawala na. If naa man, selected enforcement lang (There are existing laws but it has no teeth. If it is enforced, it will be only for a month then they'll forget about it or it will only be for a selected few)," he said. He also said enforcing laws, for the sake of penalty, will not fix the environment because the violators merely pass on the cost to their consumers. He also said that the city is already behind in terms of banning single-use plastic, which contributes largely to the garbage dumped into the ocean. "If Davao City says no, because maigo mga businessmen, unsay mas importante sa ila? Ang environment sa mga next generation, or mga businessmen? (If the city says no, because some businessmen will be affected, (then) what is more important for them, the preservation of the environment for the next generation or the businessmen?)" Blatchley said. Councilor Mabel Sunga Acosta, in a previous interview, said the city government will have to study proposals to ban plastics because of the “huge impact” on the business sector.